Yesterday was Palm Sunday. We listened to Slovenian Polka music (isn’t that what everyone listens to for celebrations?) 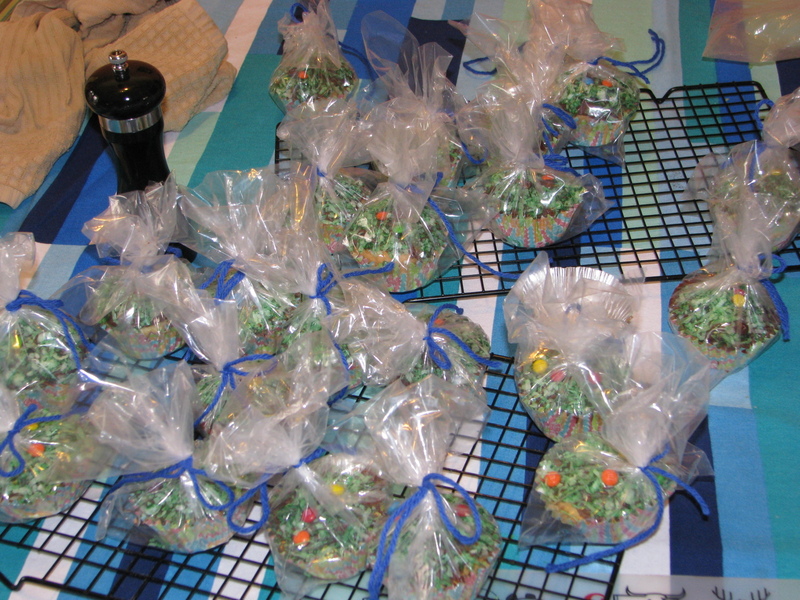 as we dyed eggs, made meringue cookies and Easter cupcakes. It was a great time with our friend Shuang and Nonna (Nick’s mom). 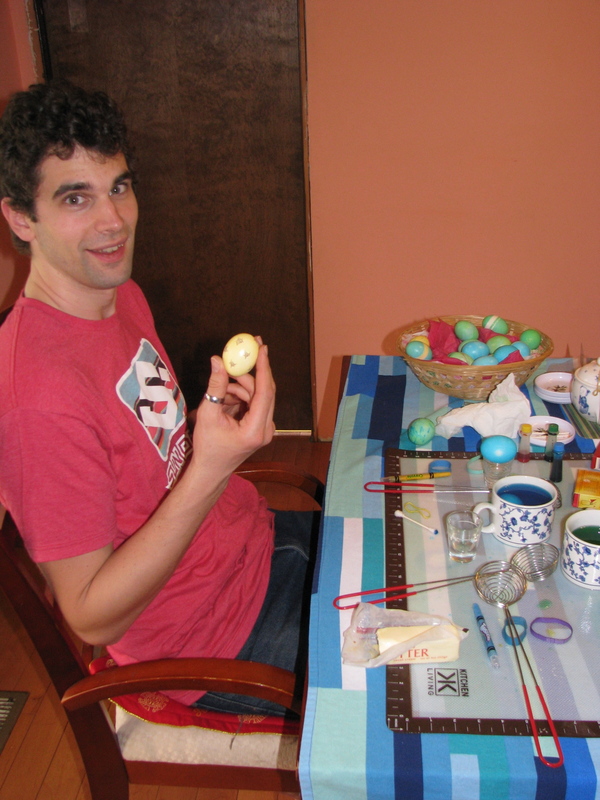 It was Nathaniel’s first time dying eggs. Ethan was just eager to grab eggs and drop them on the ground, so he was quickly whisked away and distracted with some crayons and toys. 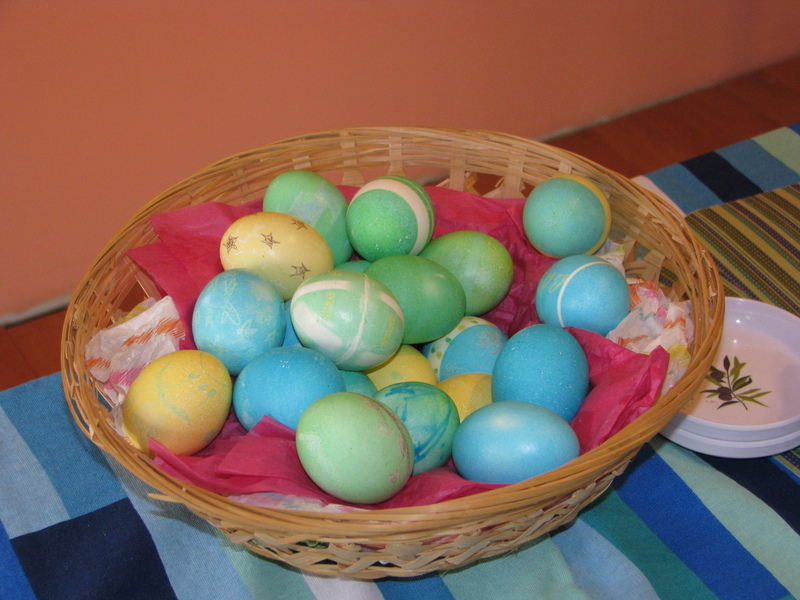 We had grandiose ideas of making Ukrainian Easter eggs and using 100% natural dyes (with food)…but since both processes take much longer than 30 minutes, and because of last-minute decision-making, we ended up using the traditional vinegar/water/food coloring process. 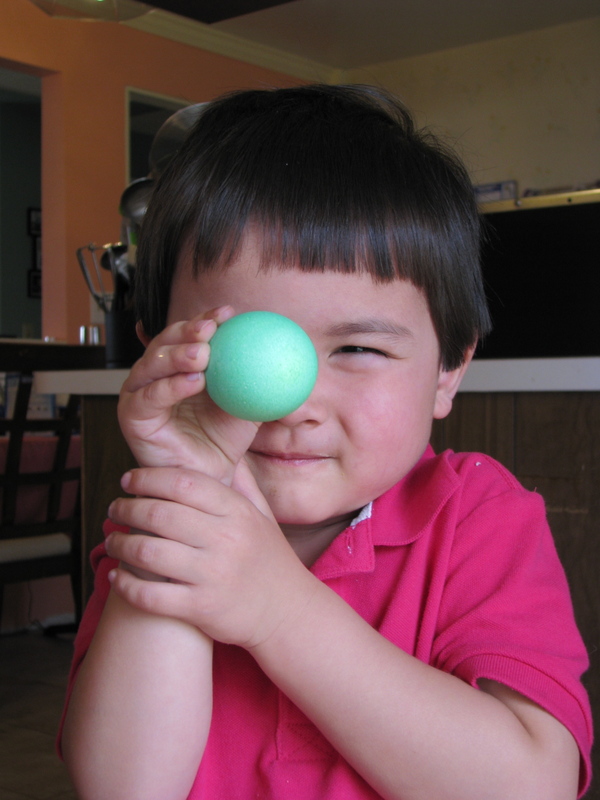 We also incorporated rubber bands into the dying process to get some nice bright white bands across the eggs. Crayons were also used for writing names, drawing designs onto the eggs. 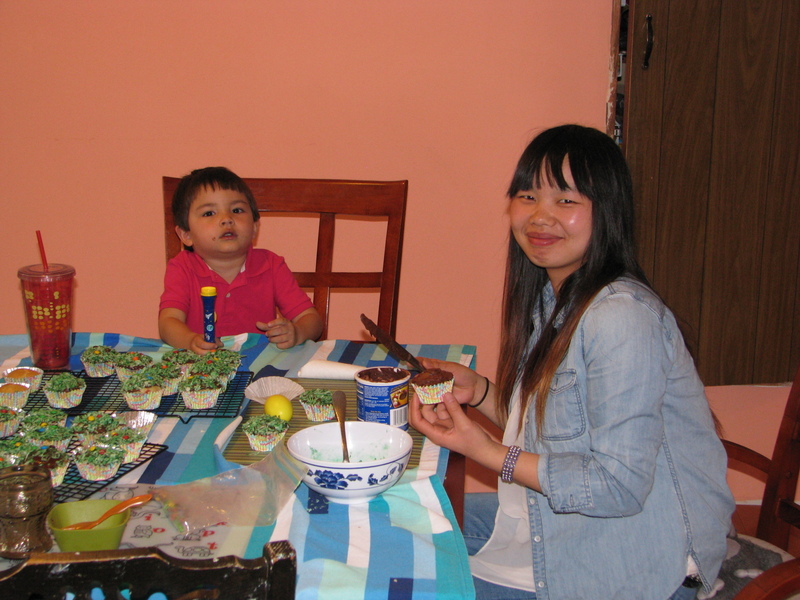 Shuang with Nathaniel: We asked Nathaniel who he wanted to marry when he grows up and he said Shuang! So, in effect, here is Nathaniel and his future wife. I was going to make a resurrection garden with Nathaniel, but we didn’t have time, so it will have to be done tomorrow, Wed. or Thurs. (before Good Friday). Also in the making for Easter is an Easter wreath with cut-out recycled egg cartons. 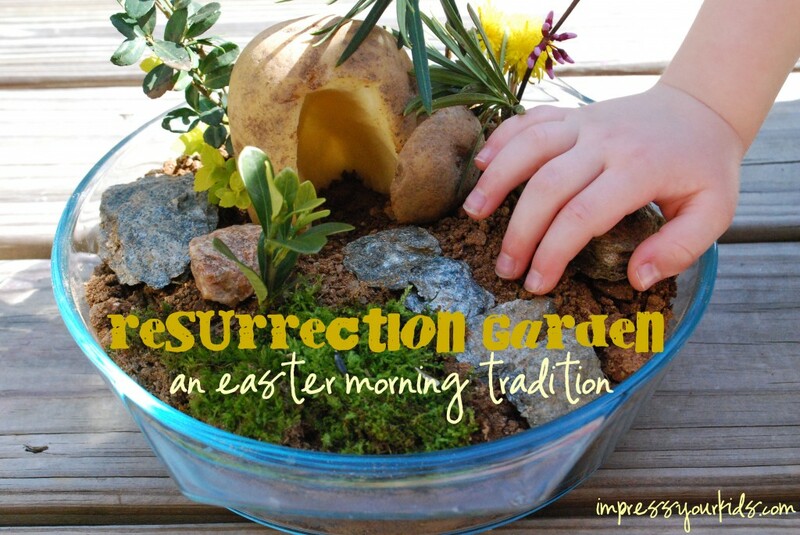 Pictures of the resurrection garden and Easter wreath will be posted next week.